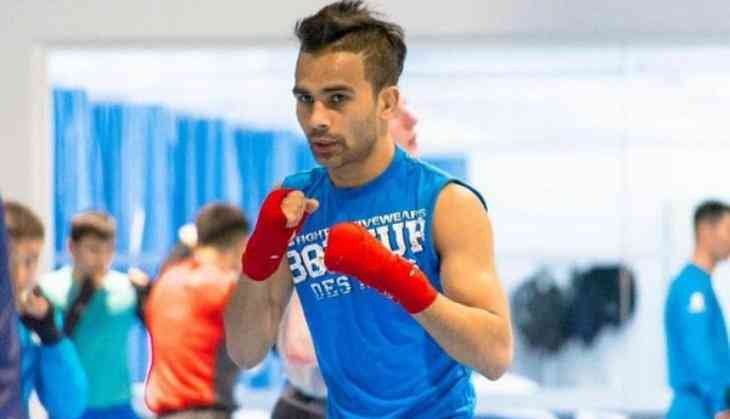 Last minute wild card entry Indian boxer Gaurav Bidhuri defeated Tunisia's Bilel Mhamdi 3-0 in the quarter-finals and assured a medal for India at the ongoing AIBA World Boxing Championship held in Hamburg, Germany. He is the only fourth Indian boxer to have achieved the feat. The other three Indians are Shiva Thapa (2015), Vikas Krishan (2011) and Vijender Singh (2009). Bidhuri has assured himself the medal in the Bantamweight (56kg) category in Hamburg. Gaurav's father Dharmendra Bidhuri was also a national level boxer.